A converter for the PS2 console, outputs video and audio in full digital HDMI format and supports all PS2 display modes 480i, 576i, 480p. With just one HDMI cable, plug and play for true-to-life video/audio effects on your TV/monitor. 1. Video and audio in full digital HDMI format, no transmission loss. 2. Works with HDTV or HDMI monitor. 4. Supports all PS2 display modes. 5. No external power adapter needed (Please plug the USB cable into a USB port or power source); no messy cords - just one HDMI cable. 8. 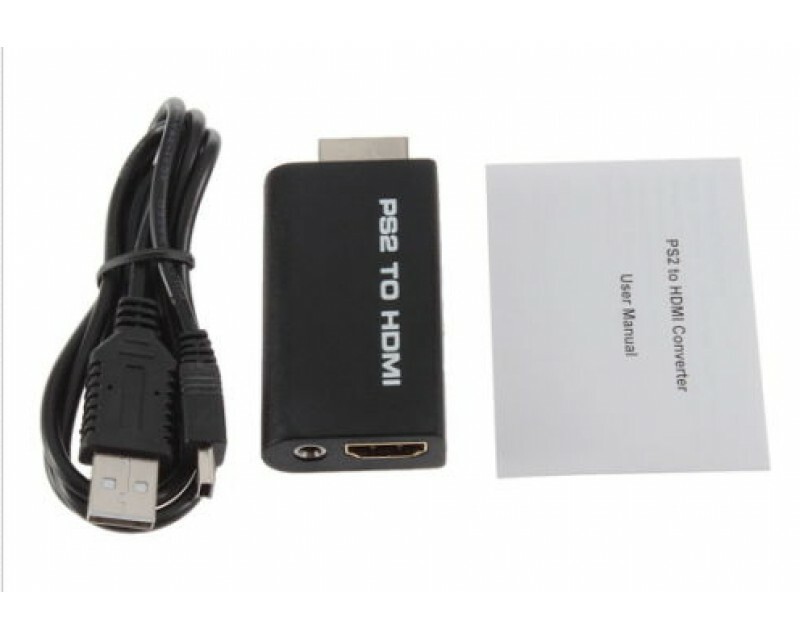 Package includes 1x PS2 TO HDMI Adapter, 1x USB Power Cable and 1x User Manual.